RipCurl Gromsearch Cronulla runs October 2nd - 5th on the Shire beaches. 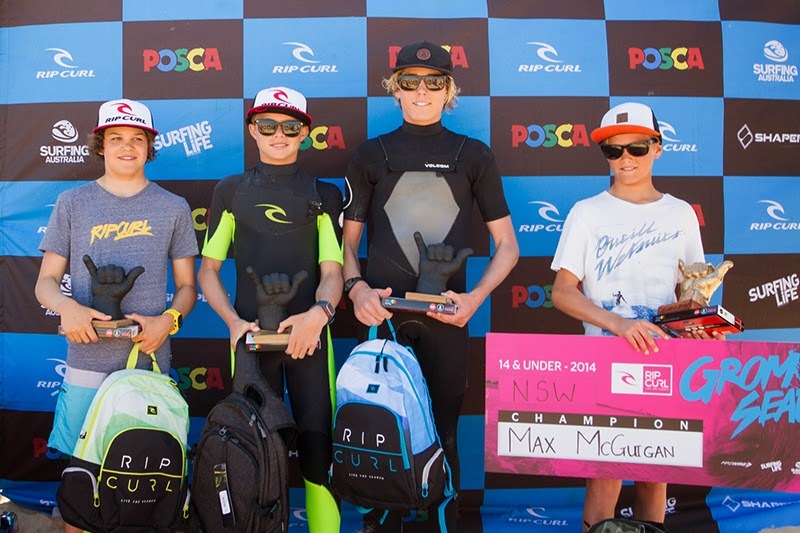 Mikey McDonagh will be there trying to back up his 5th place in the U14's from Victoria for the Gromsearch ratings. Good luck mate. A couple of good days for Mikey in Sydney with a 2nd in round 2 and a win in round 3 in 4' - 5' peaks at Wanda. Semi Finals and Final tomorrow. Mikey finished 2nd in the U14's in clean 3' waves at Wanda Beach. Well done mate.